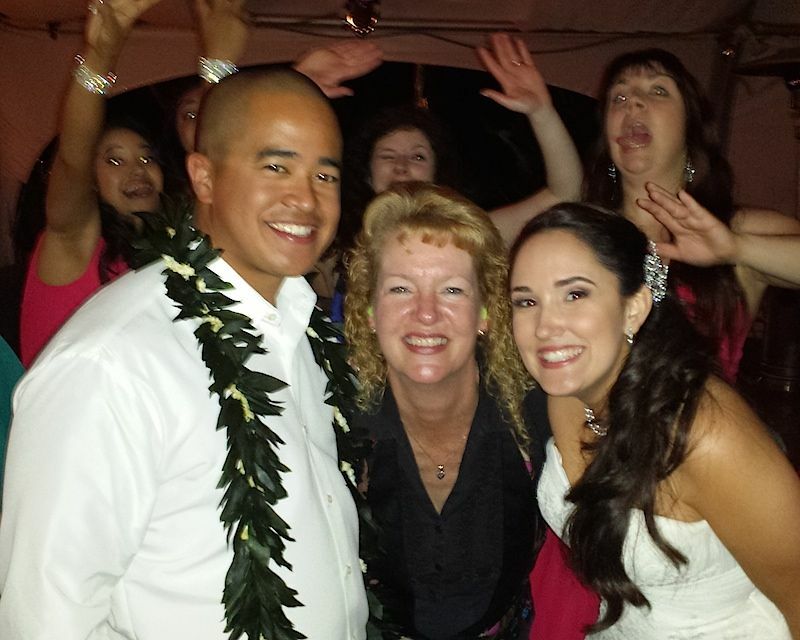 As a female DJ, I see weddings from the bride’s perspective and an entertainer’s perspective. 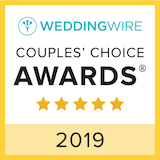 I am a WeddingWire Couples Choice winner. 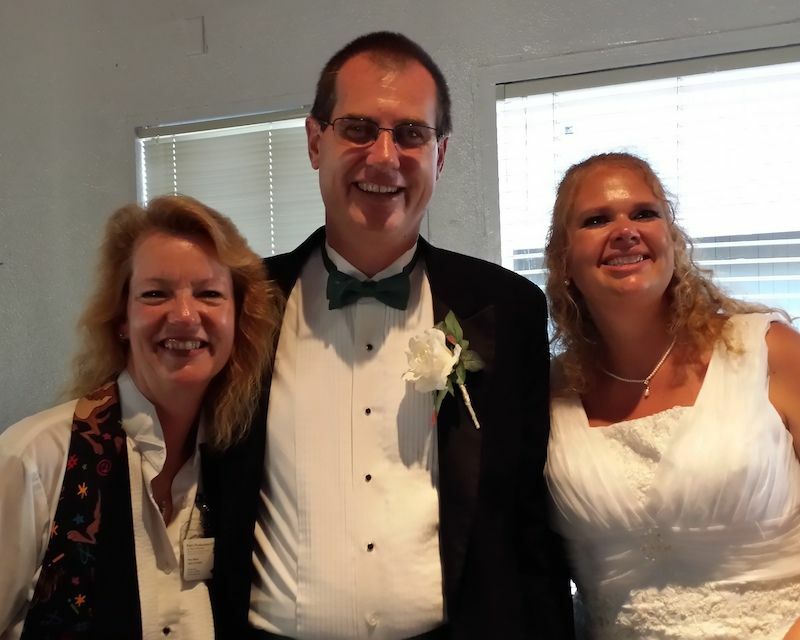 Only 5% of DJs in San Diego are awarded this honor WeddingWire Couples Choice Winner – Give me a call at (619) 218-4783 so I can help you have a FUN party. Weddings & parties are about emotion. It should be FABULOUS AND MEMORABLE. I want to make you AND your guests happy. Music can be magical, and your DJ’s personality sets the tone for your party. Your wedding is so important. Asking, “How much do DJ’s cost?” should not be your only question. You need a San Diego DJ you can trust. If that’s the kind of DJ you want, call me today at 619-218-4783 to start the planning process, or fill out the contact form. You were fabulous! The day was just as we envisioned it. I will certainly recommend you to friends, family and my company. 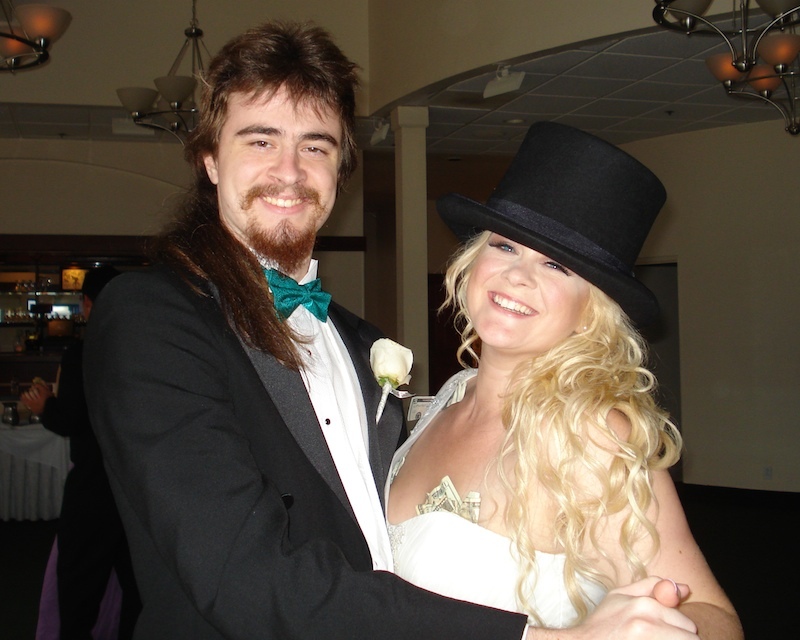 We had a blast.... and many, many people said it was the best wedding they've ever been to. I like the non-traditional touches we put in place! We were both very pleased with your contribution, and I'm so glad we met with you and talked to you. We spent more time with you than we did with the caterer! Very responsive to our needs, and everything happened just the way it needed to, just the way we wanted it to. 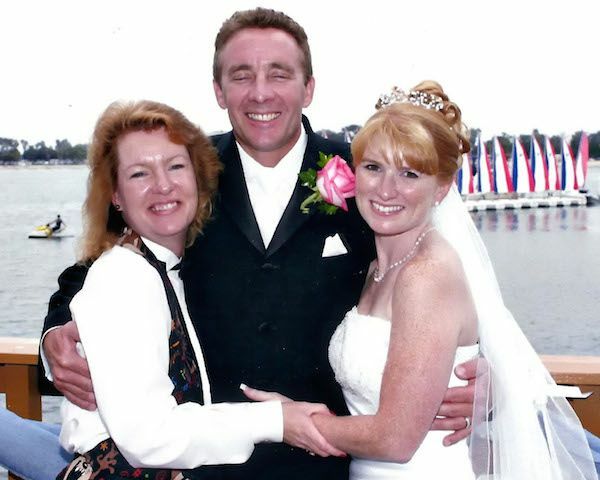 Pam was so easy to work with, it was like working with an old friend. She welcomed all of my special requests gladly, and played all of the music we requested at all of the right times. And she seemed to know better than I did what music would get my family moving. Her song choices, and the resulting dances it inspired among my family and friends, had me laughing with so much joy that I had tears in my eyes. She was always poised, always professional, but also so very natural -- with such a calm and melodic announcing voice that it was a pleasure to listen to. 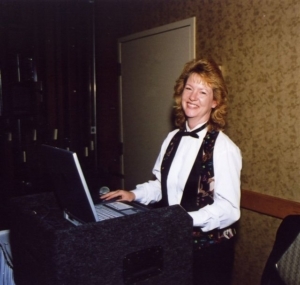 She was just fabulous and I highly recommend her without hesitation to anyone looking for someone dependable, professional, sensitive, and great fun.Ellyn L.
Pam was the DJ for our wedding. She won us over at the first meeting. She had a great layout for the whole reception at the very start. She was easy to contact prior to the date. We gave her a list of must plays - she played them. The songs we didn't want to hear - we didn't hear. We even changed our minds at the end of the evening with the genre of music and she was able to accommodate without question. She even started playing early when my cocktail musician was too quiet to be heard. GREAT JOB PAM. 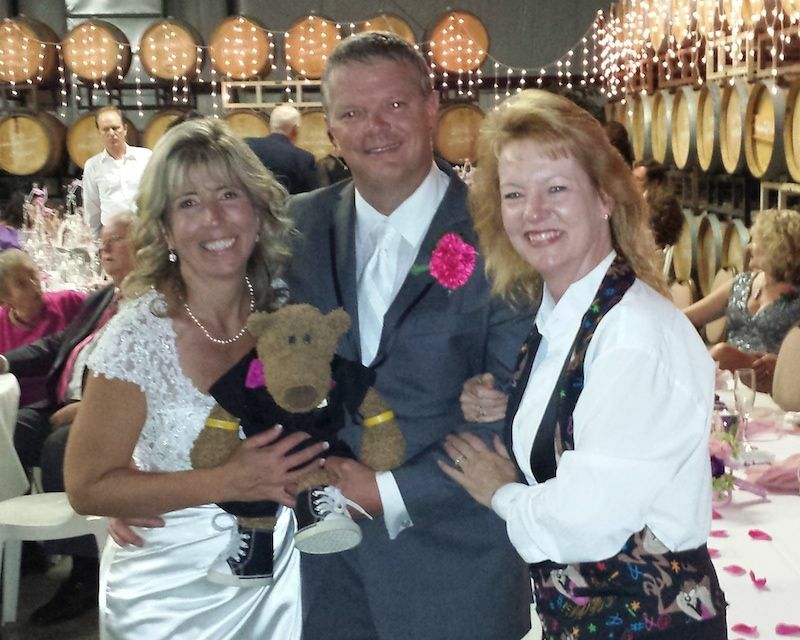 We couldn't be happier with the night.Joseph N.
First & foremost, Pam did everything she promised for my reception. She was there when she said she was going to be there all set up and ready to go. She played all songs & initiated all events (e.g. 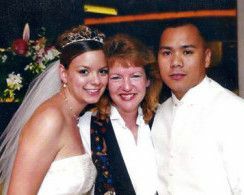 1st dance) according to the timeline we set up together. But, what made Pam stand out to me was her enthusiasm & energy. She literally rocked my reception!! The dance floor was going non-stop from the young kids to my 80-year old grandparents. 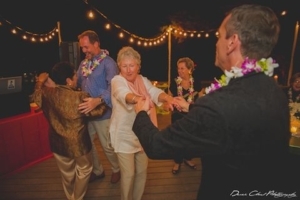 She was polite and friendly to the guests requesting songs and she even joined them on the dance floor to lead them in dances they thought they knew how to do. : ). She definitely goes with the flow of the wedding in determining what to play next, which I appreciated. 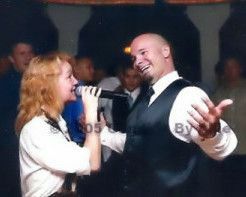 She received rave reviews from my guests and is now forever part of my special day memories.Jamie H.
As a female DJ, I see weddings from the bride’s perspective and an entertainer’s perspective. 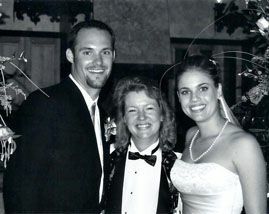 I care for each wedding as if it were my own, and do all of your coordination. I want to work with you to give you the reception you’ve dreamed of. Yes, I’m LGBT-friendly! Every group is unique. I’ll be happy to customize the music and interaction to suit your company’s style. You are the boss! The music and mood for a 50th Anniversary party probably won’t be the same as a Sweet 16 birthday party. I understand what’s appropriate for each age group, and my music subscription uses the edited version (radio edit). 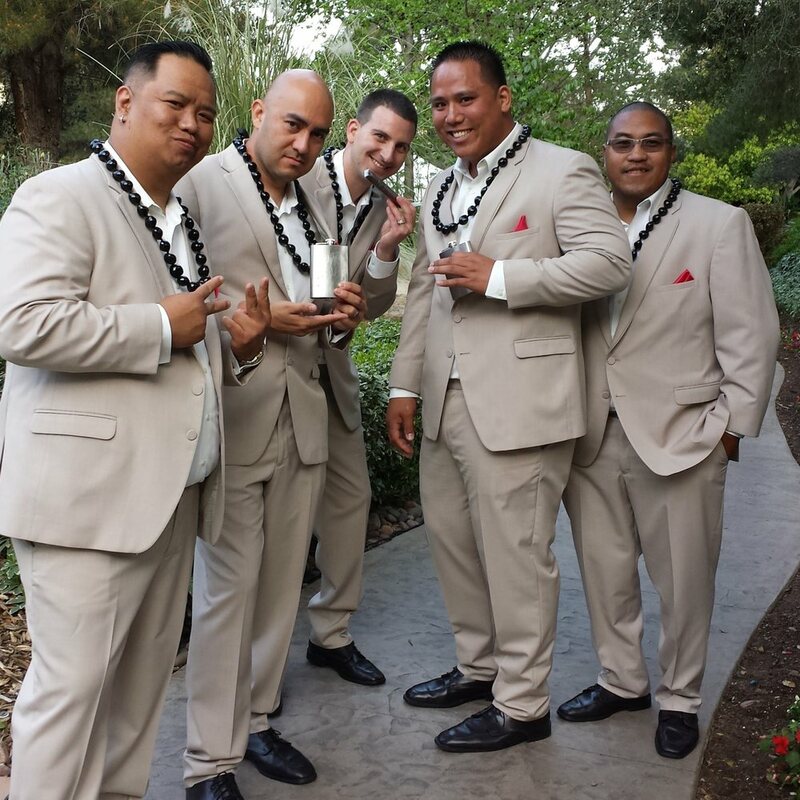 Wedding receptions and parties are all about FUN! 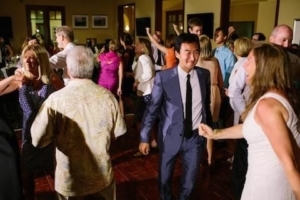 Here’s how great music can get your guests moving in the right direction. This little guy has the right idea! 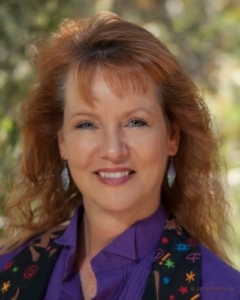 I want to make your party as fun as possible – call Party Pam today!